Interested in Becoming Our Distributor? Waterproofing Paint material it includes Elastomeric Paint, Heat Reflective Paint.. It includes, Tile Adhesive, Block Jointing Mortar, Ready to use plaster, Hack plast chemical, Floor hard guard. Our chemicals are formulated at our highly modernized manufacturing facility, where we use the latest chemical processing equipment, to facilitate large scale formulation of our extensive assortment of chemicals for industrial usage. Kalwa (West), Maharashtra - 400 605. Concrete Admixtures & Grouting Products | Waterproofing System Elastomeric Paint | Elastomeric Coating | Heat Reflective Paint | Acrylic Waterproofing Coating | Acrylic Waterproof Coating (High Solid Content 45%) | Polyurethane Waterproofing | Waterproofing Admixture | Repair Mortar | Micro concrete | Acrylic Polymer Bonding Agent | Rust Remover | Crack Guard Paste | Anti Carbonation Coatings| Zero Voc Paint | Paver Lacquer | Foaming Agent | Clc Hardener | Super Plasticizer | Construction Grout | Grout Aid Guard | Form Release Guard | Tile Adhesive | Ready To Use Plaster | Block Jointing Mortar | Hack Plast Guard | Floor Hard Guard | Waterproofing Paint | Ready To Use Finishes | Repair & Rehabilitation Systems | Protective & Decorative Coatings. CONSTRO CHEM INDIA Pvt. Ltd. are manufacturers and suppliers of the premium quality of Industrial chemicals in the Construction Industry having a dedicated R & D at Mumbai, India. CONSTRO CHEM INDIA has grown through its insistence on creating exactly the right products to fulfill the ever increasing needs of the Construction Industry, Ready Mix Concrete industry, Industrial & Housing Projects. The team is also tech-savvy to enable high degree of client servicing level and generate quality products, ensures to serve its clients extraordinarily. We offer wide range of products for your buildings and structures. The company ensures maximum satisfaction to the customers for its product in terms of top most quality & service, whether its designing & or renovating an existing one. Elastomeric coating: This is an elastomeric exterior paint or elastomeric roof coating. It prevents water ingress, prevention from varbon, vegetation, dust, heat, UV, has high crack bridging ability as well as washable coating. Acrylic waterproofing coating: Cementitious waterproof coating, effective waterproof coating mixed with cement to give 100% waterproof surface. 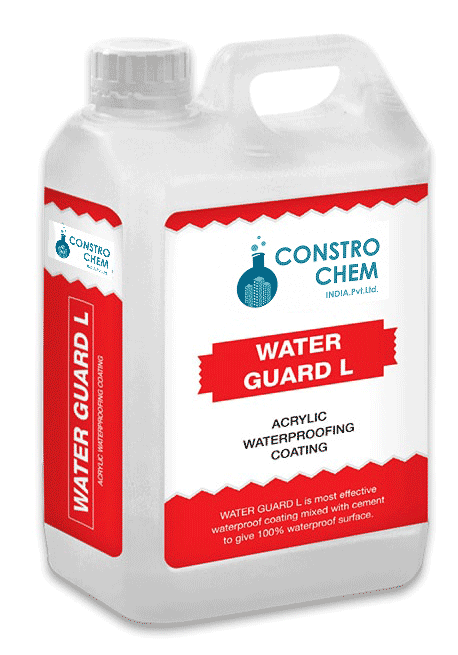 Applicable on sunk portion of bathrooms, toilets, balconies etc., base coat for terrace waterproofing, underground and overhead water tanks, can be applied in moist conditions e.g. exteriors, terraces and chajjas in wet spells of monsoon, underground and / or overhead water tanks almost immediately after emptying. Polyurethane waterproof coating: A single component modified polyurethane, liquid applied coating that is composed of specially developed polymers, properly selected and graded fillers. Bonds strongly on cement concrete, asbestos, mild steel, cement plastered applied surfaces, thermal stability, high elasticity and resistance to chemical. Waterproofing admixture: Integral waterproofing admixture for concrete & mortar. Applicable on concrete structures exposed to water like terrace gardens, sunk portion of bathrooms, toilets, balconies, etc., external plastering, basement concreting, sloped roof slab, flat roof slab, beams, columns, slabs etc. 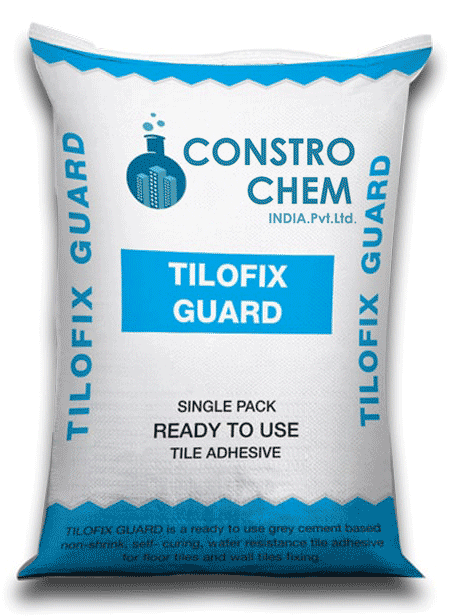 Tile adhesive: A ready to use grey cement based non-shrink, self-curing, water resistance tile adhesive for floor tiles and wall tiles fixing. Ready to use plaster: It is crack resistant premixed cement sand water tight plaster. Plastering on block work, brick work and concrete substrates in new construction, external & Internal plastering application for repair and rehabilitation works. Block jointing mortar: A polymer modified pre-mixed, easy to apply, high quality block joining mortar. Specifically designed to provide strength and adhesion to walls constructed by AAC blocks, fly ash bricks, concrete blocks etc. Hack plast Guard: Bonding agent to aid the bonding of plaster on New/ old concrete. It is an acrylic polymer based bonding agent designed to act for better bonding qualities of plastering on old/new concrete. Floor hard guard: A one part, pre-mixed dry shake non metallic hardener for concrete comprising of cement, specially selected natural mineral aggregates and admixtures. CLC hardener: A high strength hardener using in CLC Blocks or cellular light weight blocks. Super plasticizer: It meets the requirements for high range water reducing superplasticizers. We have three types of admixture of concrete. Construction grout: One part, pre-mixed cement based flowable, two-stage expanding grout with selected aggregate. 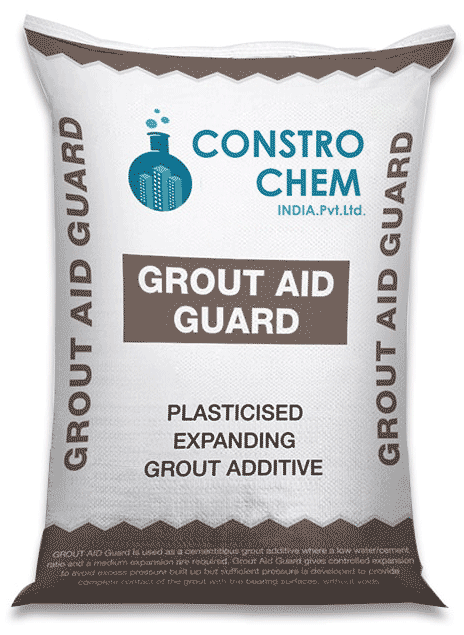 Grout aid guard: Used as a cementitious grout additive where a low water/ cement ratio and a medium expansion are required. Form release guard: Ready to use low viscous mineral oil based release agent. Ready to use De-shuttering oil. 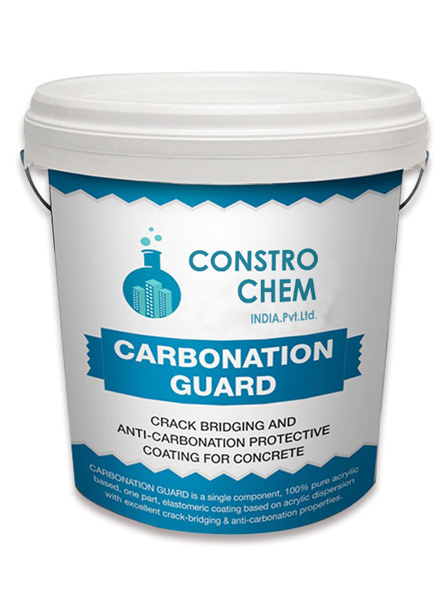 Anti Carbonation coating: It is a single component 100% pure acrylic based one part elastomeric coating based on acrylic dispersion with excellent crackbridging. Very good resistance against weathering and ageing, Preventive protection for new reinforced concrete structures exposed to aggressive environments, water vapour permeable. Zero VOC Paint: Zero VOC Paint is water based interior wall emulsion with a rich smooth finish No VOC and odor less. It has excellent wash ability and stain resistance properties, rich smooth finish with good sheen. Paver Lacquer: Paver Lacquer or paver sealer is a ready to use lacquer sealer coat. 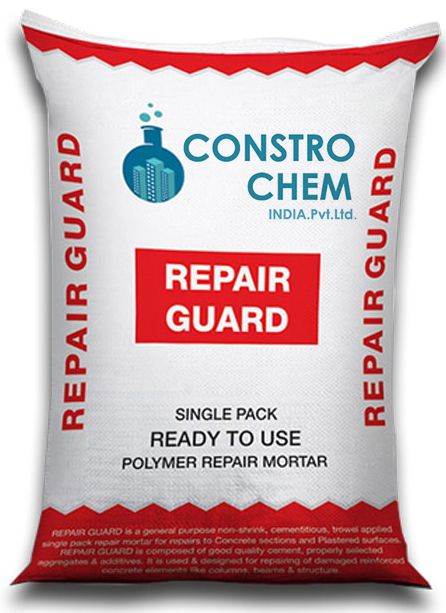 Repair mortar: A general purpose non-shrink, cementitious, trowel applied single pack repair mortar for repairs to concrete sections & plastered surfaces. Micro concrete: A general purpose non-shrink, cementitios, flowable, high strngth mortar for repairs. It is composed of good quality cement, properly selected aggregates & additives. Rust passive guard: Rust passive guard is surface applied bipolar concrete penetrating corrosion inhibitor. Crack guard past: An acrylic polymer based white crack filler made acrylic emulsion polymer, property selected graded fillers, light fast pigment & additives.